When it comes to handling and packaging CBD products, quality control is key. With the growing demands of a market that seems to be more profitable every day, it can be hard to keep up. That’s why there’s no better way to ensure a streamlined process to market than with a proven contract filling company. Here are a few reasons to consider third-party contract filling services instead of handling the stress of packaging yourself. A successful contract filling company has resources designed to handle high levels of production. Having packaging materials on-hand and a system designed for efficiency can actually save you money while ensuring your CBD products are protected from degradation. With the right contract packer, you can improve commerce while spending more time focused on matters more important to growing your business. The process of filling CBD products is not a simple skill. Rather, it takes a contract filling company a great level of expertise to adhere to the strict regulations put into place while producing packaging solutions for various manufacturers. Fortunately, a successful contract filling company will have mastered this process. We at LF of America can provide you with an efficient timeline and handle different production sizes as your own packaging needs grow. If you are intent on having an in-house filling machine, you should still consider speaking with a reputable contract filling company first. For instance, here at LF of America we provide clients with the option to purchase their own filling machinery themselves. Our Pentafill machines are available in a range of sizes, allowing the client to choose which best fits their needs. Our machines are easy to use and maintain and are perfect for facilitating small batch production sizes. If you would like to speak to a representative about finding the right filling machine for your needs, please contact us for more information. Developing a great product itself is a difficult process. Once it is ready for the packaging phase, it can almost seem overwhelming. Having a contract packaging company advise you about some great ideas, such as the benefits of unit dose packaging, will time on trials of packaging options that would not work. In conclusion, the decision to hire a contract filling company for all your packaging needs is all around a sound investment. It will save you time, hassle, and most importantly money. 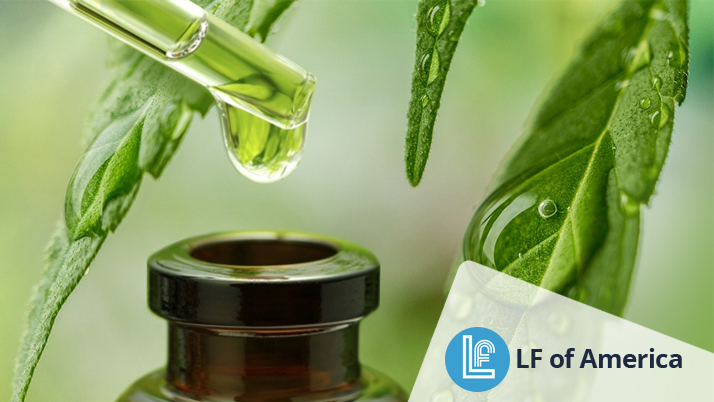 Plus, with innovative packaging for CBD products, your customers will be able to know they are buying a product with quality assurance, giving you an edge over competitors. Want to learn more? Consider LF of America your turnkey contract packaging and filling partner. Contact us today for a free quote and start gaining the growth you aim to achieve.